We’re proud to share that last Friday, we were recognized with the highest honors at the annual SDX American Advertising Awards (aka the ADDYs) for our integrated work with Major League Baseball, Pentel, Qualcomm, Innovation Alliance, Burger Lounge, and Harrah’s Southern California Resort. 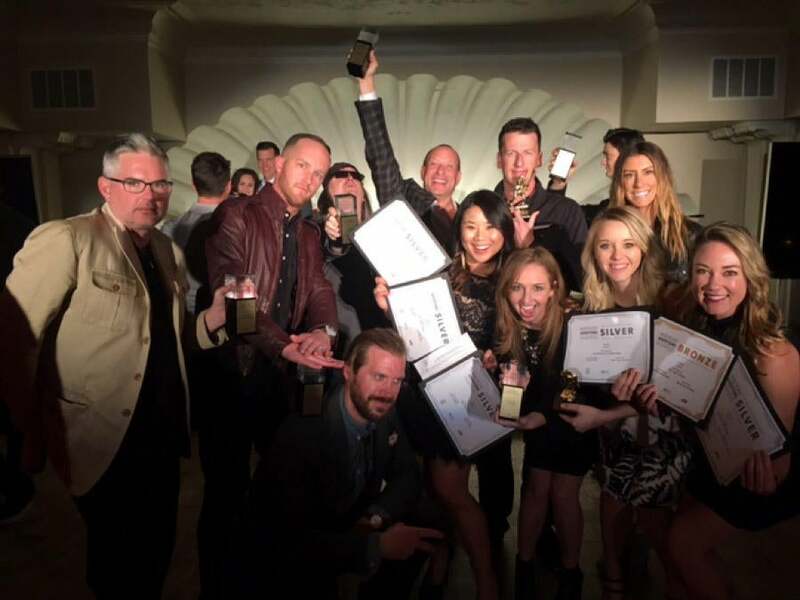 With six GOLD, eight SILVER, one BRONZE, two People’s Choice, and the most sought after Best of Show, totaling an impressive 18 awards, we collected the most awards for a single agency. This was truly a team effort! Our Pentel’s “What’s Your Point?” campaign received six awards including Best of Show. The work inspired consumers to transmit their handwritten note to the world through first-to-market interactive kiosks, that included a mobile messaging app which developed custom hand-drawn emojis. You can find a full recap at Times of San Diego.